François Grosjean is Professor Emeritus of Psycholinguistics at Neuchâtel University, Switzerland. 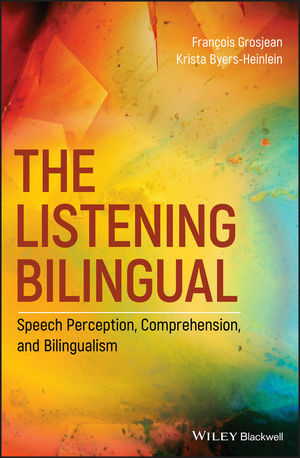 His publications on bilingualism include many articles and chapters as well as Bilingual: Life and Reality (2010), The Psycholinguistics of Bilingualism (Wiley Blackwell, 2013; with Ping Li), and Parler plusieurs langues: Le monde des bilingues (2015). He is also a Founding Editor of the journal Bilingualism: Language and Cognition and was its first Coordinating Editor. Krista Byers-Heinlein is Associate Professor of Psychology at Concordia University, Canada, where she holds the Concordia University Research Chair in Bilingualism. She is a world-recognized expert in the language, cognitive, and social development of bilingual infants and children, and she has published extensively in academic journals.